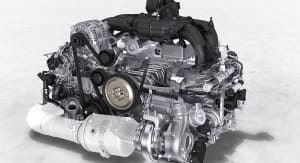 You can read all the technical specifications in the world, and look at as many schematic diagrams as you can get your hands on, but even company engineers admit the only way to truly understand the 2016 Porsche 718 Boxster four-cylinder turbo is to get out on a racetrack. CarAdvice won’t get to drive the new Boxster until later in 2016, but we did get to slip into the passenger seat and ride along for some hot laps with Porsche development drivers. The term ‘taxi ride’ must be some kind of in-house joke at Porsche HQ because my pilot Lars Kern spends his working day at places like the Nurburgring, helping to develop the road cars we’ll eventually get to drive when they go on sale. Porsche Test Driver has to be one of the coolest job descriptions going around. 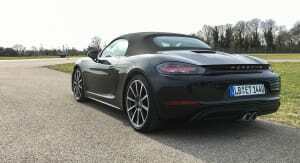 Our experience with the new 718 Boxster S is all too brief: two hot laps around a banked proving ground circuit in the south of France, a straight-line demonstration of the launch control system, and a three-lap blast around a wet racetrack designed to best illustrate the capability of the PASM system. 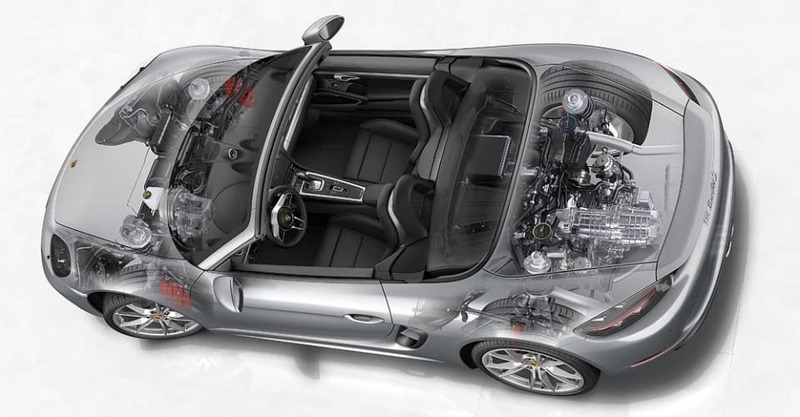 On the dry track, the intrinsic balance of the Boxster chassis is immediately visible. Tipping the nose into the long banked corner at 200km+ and holding 230km/h through the turn, the Boxster is rock solid stable and there isn’t even a hint of noise from the Pirelli tyres. 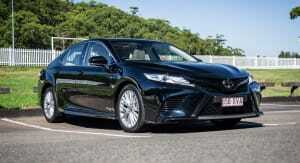 I can’t believe the capability of the tyres, given they are road hoops at road pressure. 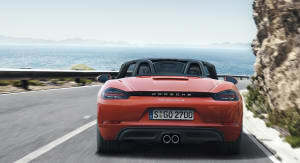 Read our deeper-dive piece on the new Porsche 718 Boxster’s chassis updates here. Lars has extensive Carrera Cup experience as well as rally racing on his resume, and reckons the Boxster’s steering is as precise as any system Porsche has ever developed. 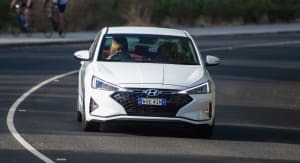 “It is completely effortless to control the car at speed with very little work required as you can see,” he tells me, as he blasts out of a corner with one hand on the wheel. 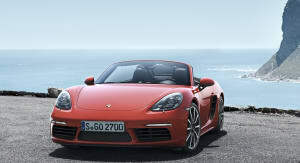 Even when he tries to coax the Boxster off balance at speed, the chassis responds immediately and the Boxster never once feels uncertain. I suggest that the Boxster/Cayman siblings might even be easier for mere mortals to drive fast than the legendary 911, and Lars agrees. 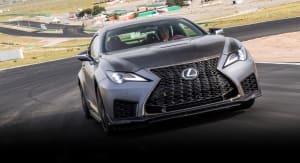 It’s hard to comprehend how effective the launch control system can be for a vehicle that is RWD. 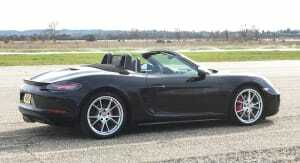 Stepping off the brake loads the tyres up and the Boxster just rockets forward without even a second’s hesitation. 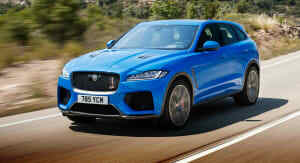 Acceleration is relentless too, the flat four-cylinder engine delivering an enjoyable soundtrack. 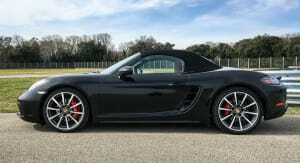 It’s hard to be completely sure from the passenger seat, but like the 911 Carrera we tested recently, the Boxster feels like it has an incredibly linear power and torque delivery too, unlike many turbocharged engines. 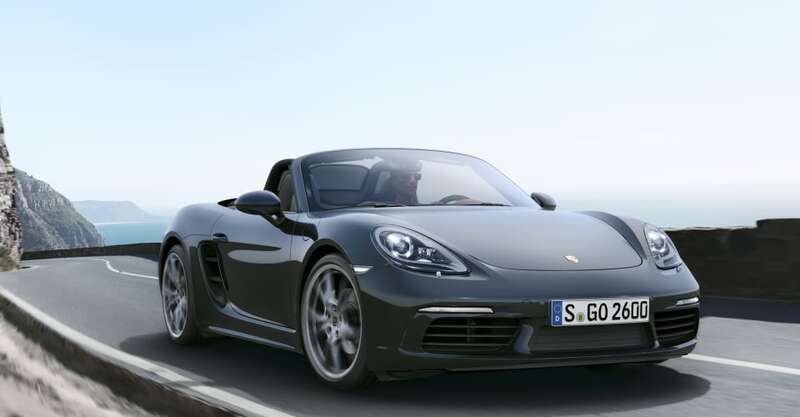 With the Boxster S running only 1.0-bar of boost, the 257kW/420Nm 2.5-litre is certainly not as highly strung as you might have expected. The wet section of track induces a stupid grin as we explore the workings of the PASM system. 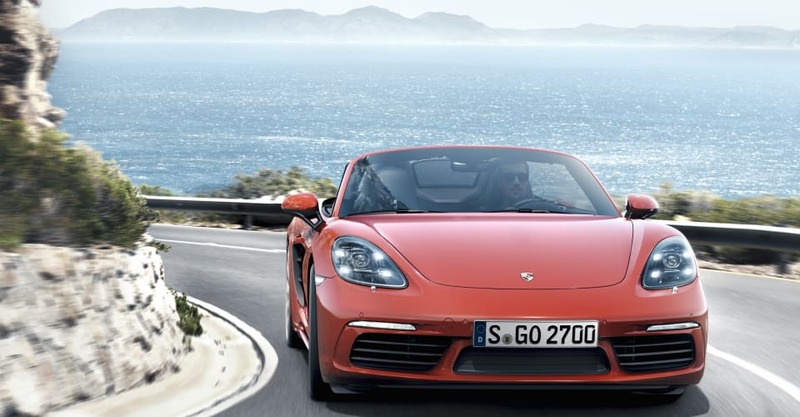 Depending on the mode you’ve selected, the Boxster allows you to have plenty of drifting fun until you switch it off completely. 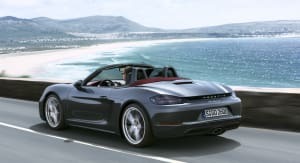 At that point, you need to know what you’re doing to be able to control high speed drifts, but the low speed corners highlight the remarkable way in which the system will still allow you to steer the Boxster with the throttle and mess around with steering angles into a slide. 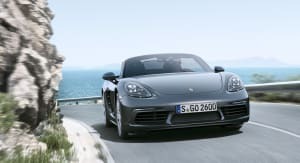 There’s no doubt the new Boxster is a significant step forward from what was an already accomplished and dynamic package. 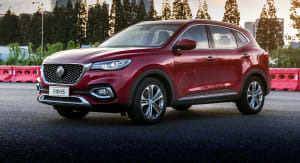 It’s searingly capable in the right hands and looks the part too. 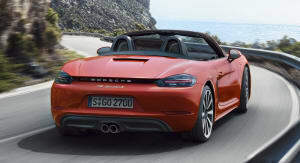 As is tradition now for Porsche, the German marque keeps on finding ways to improve an already brilliant package.